The Silverwaters Band on a recent trip to the North. You might have seen them jamming around Suva, the SilverWaters band have definitely made a name for themselves in the local music scene. The band’s unique name comes from their band leader, Waisiliva Baledrokadroka who has been an inspiration in the music industry for many years. Band manager and lead vocalist, Rosia Sagaitu said the main reason of forming the band was to expose the band members who had been playing for many years and had many experience in the music industry. “Mr Baledrokadroka has played for many well-known artists around the Pacific covering many gigs for other artists and has a very exceptional, lovely and unique voice,” said Ms Sagaitu. 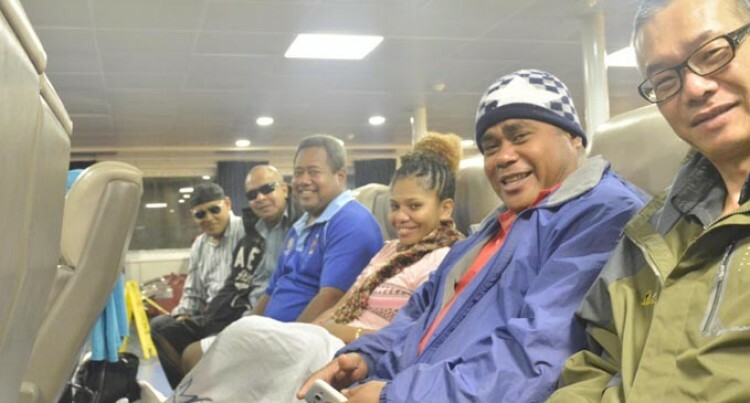 The band is made of six members that include: Waisiliva Baledrokadroka (Lakeba, Lau) – Band Leader, Keyboard and backup vocalist/lead, Rosia Sagaitu (Rotuma)- band Manager and lead Vocalist, Jo Tuisawau (Namatakula, Nadroga) – Bass Player and backup vocalist, Jo Tagicakibau (Bau, Tailevu )– Lead Guitarist and backup vocalist, Waisake Nayacalevu (Daku, Tailevu)– Drummer and Herman Yee (Hong Kong)-Sound Engineer. What sets Silverwaters band apart from other bands is the uniqueness in the voices of their players and their many years of experience in the music industry. The Band just got back from a successful trip to Taveuni and Savusavu where they collected videos and pictures for the bands new Facebook Page “Silverwaters”. They are currently working on their debut album. The long- term plan for the band is to archive a recording studio for the band boys and to help and support upcoming artist grow into well-known artist locally and abroad. You can catch the Silverwaters band jamming weekly at the Holiday Inn, Suva from 6pm-9pm and on Friday at Onyx Bar from 10pm.